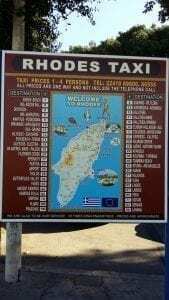 So let’s talk about getting around Rhodes by taxi! While in a foreign country and not completely aware of your surroundings, it can be easy to lose money on taxi fares if you are not ready for it! Here I will explain a little more on using the taxis in Rhodes so you understand how it works before you hand over your hard earned cash! 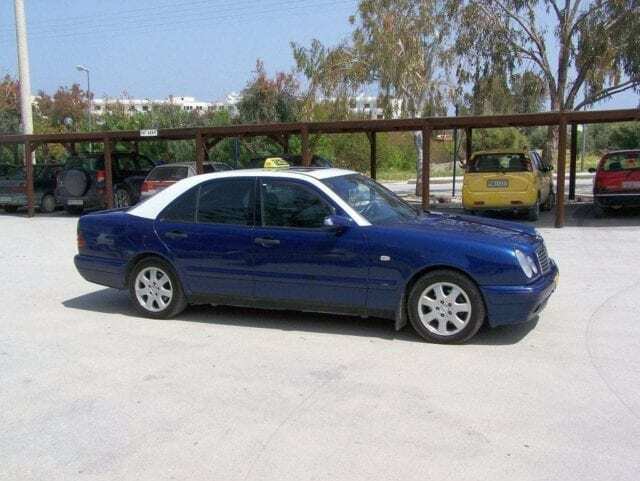 The taxis in Rhodes are very distinct as most of them are Mercedes-Benz. 99% of them are blue with a white painted roof and they of course have the yellow taxi sign on the top! On the odd occasion you will see a BWM model or even Skoda, but Mercedes-Benz is by far the most dominant! The Taxi Service on the island is a very popular and accepted way to get around due to the sheer amount of taxis on the road. When you want one, you can pretty much get one almost immediately or in a very short space of time. Over the last couple of years the system has been cleaned up a little from what it once was. In the past it was not uncommon to jump into a taxi and have no idea how much the journey was going to cost you. It was rare for the driver to put the meter on so a lot of the time you could have been paying way over the top. There is a system in place now which requires the driver to give you a printed receipt for your journey so there is no confusion as to the price you will pay. The meter should be on during your journey – If it is not, ask the driver to switch it on! Overall if you do decide to use a taxi on the island, you will not be too disappointed with the service. The taxi drivers are always friendly and they will happily talk to you on your journey. 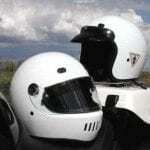 They will get you where you want to go both speedily and safely. I will tell you this as it happened to me a long time ago. If you are in a taxi, for example two people, and you are on route to your destination – do not be surprised if the taxi stops along the way to pick up more people! I do not think this is really a bad thing, I mean if he has seats free in the car then why not? It is just you can find yourself sharing part of your journey with complete strangers! Saying that though, you pay your own fare, not somebody else’s – so don’t worry! The prices these days have become a lot more available to see than they used to be. You can see the taxi price list at most taxi stations and they are quite clear how much a journey will cost you from that station to the attractions on the island. No matter where you are going though, the minimum fee is 4 Euros. So even if you needed to go 1 Km it would cost you that amount! On saying that, they are good for short journeys and moving around here and there. The buses on Rhodes are also good for hopping around locally, so this option is something to consider too. For longer distances however, I would look at other options for sure! You can see the current price list in the photo below for the taxi service. The taxi service always provide hundreds of taxis at a time waiting for people arriving at the airport! Again from the airport they will take you where you need to go in a safe manner. Be aware though, when you take a taxi and you have also with you your luggage – you will be charged extra! If I remember it is around 1 Euro for each bag. Not too much, but something you should be aware of! These taxis at the airport can also be pre-booked ready for your arrival. You can find more information on this on the Rhodes Taxi and Transportation Services website. Personally I do not like to use the taxis. I think the service they provide is good and I am not saying they do not do a good job, they do! But for me they are way overpriced. For other people, they may find them reasonable – but that is something you can decide for yourself! 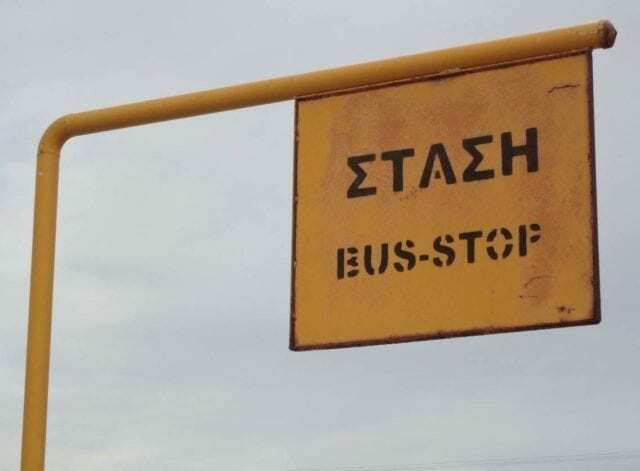 As an example – to go from The City of Rhodes to Lindos (around 40 Km) it will cost you in the region of 65 Euros, and the same again to come back! 130 Euros in total. (Prices are approximate remember). With that same money you can rent a car for 7 days (yes that’s right – 1 week). From here you should be able to use the taxis with a lot more confidence and knowledge. If you need further information on the taxi service here in Rhodes just leave me a comment below. Maybe you have had the experience of using a taxi on the island and have something to share? I always welcome your thoughts and/or experiences! 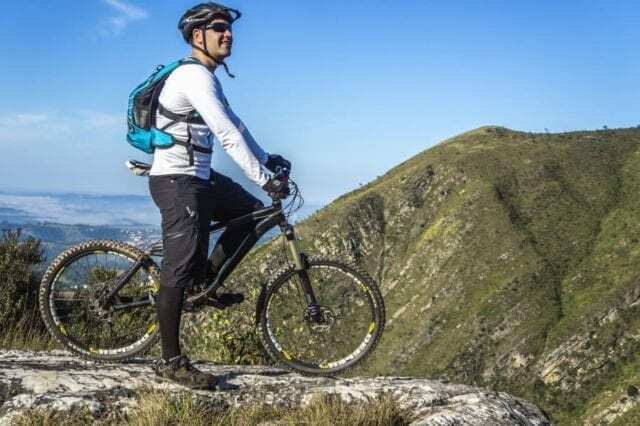 Learn More About How To Get Around Rhodes. Click From The Options Below. I agree with you. 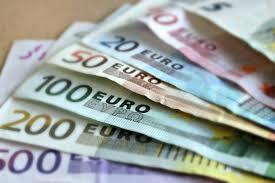 When I visit a new country I often lose a lot of money on taxi fares. This is mainly because I want to get to my destination safely and I do not know a cheaper / better way of getting there. So when the taxi driver says “you owe me money” I just pay the money and move on. Yikes! 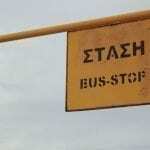 The taxi drivers in Rhodes can pick up extra fares along with way with you in the car….. Yikes! As a female travelling in a foreign country with a strange man that I just met, if he stopped to pick up extra passengers then I would be a bit scared for my personal safety. In South Africa and other parts of the world car jacking is a genuine problem. I am happy that it is part of the culture though and everyone goes along with it. I was just wondering how often you get taxi’s personally? Do you have to wait long for one to arrive? Yes it was a surprise to me too when complete strangers hopped in my cab. I was not ready for that one. I too can see why people opt to use the taxis. Some people do not mind paying a little more to get where they want to go safely and with a driver that knows where he/she is going. I can see the attraction. I have never seen such fancy Taxis before. Rhodes looks beautiful and sunny from your photos. I agree I would either rent a car or a bike to get around. Hi Tara, well yes, I guess you can call them fancy. Rhodes is a beautiful place, and the important thing is to get out and see the places and soak in the atmosphere. My dream is to someday visit Greece and Rhodes sounds wonderful. Here, in southern California there are a lot of taxis, but most people will use a service called Uber or Lyft. They are both “drivers for hire” but they can also be quite costly because of the amount of traffic here. Very nice website, by the way. Hey Sue, yes I know about these companies you mention. They have not yet landed in Rhodes, but maybe they are already on the mainland of Greece. I am not so sure to be honest. I would maybe like to see a force like this come into operation here in Rhodes. I would be interested to see the difference in the prices and the operating conditions. It would also offer people another option to get around and see the island while on holiday. Thanks Sue, and glad you like the site! I am impressed by the Taxi service, which use nice cars, Mercedes Benz. It could be one reason that taxi fee is high. Looks that the Island of Rhodes is very nice place to go. What is the best time to visit the island? Yes I will agree that thew Mercedes Benz is not the cheapest car in the world to run. After saying that, that is not the fault of the tourists is it? It is a 50/50 situation I think. Although maybe they do no need to gave a slightly higher price in order for them to pay their way, there is no need for extortionate prices. Almost 140 Euros in taxi fare. For this price at this time of year, you can rent a car for 10 or 12 days. Do you see what I mean? Thanks Anthony. Nice to hear from you. Hi Chris, a lot of good information here, which can come in handy, especially knowing that they could pick up someone else up along the way. I would have been totally shocked and unprepared to be sharing a ride with a total stranger and having to make small talk. I mean it’s not like being in an elevator that only last a minute, no this could be many, many minutes. Yeah I must admit Kim, it took me by surprise too. I am not one for small talk either. I would rather not speak at all lol. It is like what you say to the taxi drivers isn’t it. Are you busy today? or the hairdresser – Hows business? All ok? lol… There is nothing worse. Simply speaking to break up the uncomfortable silence even though there is not much really to say! Nice to know Chris, I remember in your other post you said some about the taxi service and you better watch out or you will get over charged. I wonder why this is – are the ones who over charge dishonest and like to cheat people or why? Doesn’t the taxi service check their drivers out first or how does that work? You make a good point here Fred, but I need to be careful and not give opinions on something I know little about. The taxi service here is a set standard. All the taxi drivers work for the taxi service, and there is only one on all the island. They are not independent companies like you will find in other places. I do not really want to comment on the recruitment process, or how the taxi drivers are hired/fired or the way they operate, simply because I do not know the ins and outs of it all. It would be unfair of me to pass judgement. In my opinion, I just find them expensive. This is reason enough for me personally not to use them. Others are free to make their own mind up of course. Thanks Fred, and sorry I cannot be more specific in answer to your question. Thanks for the warnings Chris! lol. Taxis definitely have their uses anywhere. It’s good to know the approximate prices are revealed for the tourists. Yeah sometimes it is good to heave the heads up on prices. Thanks Dianne. It is nice to hear from you again. Thanks for the info. I love the line about the English taxi-drivers – locking you in let alone letting someone else in – had a chuckle there. Yeah I must admit Michelle, it came as a surprise to me too when that happened. I thought there was maybe a look about me that the taxi driver did not trust lol. But it was OK … I did find out that it had become policy, as many people were jumping in the taxis for their ride, then jumping out again in a hurry and running away to avoid paying. Luckily this is something that does not happen in Rhodes. Not that I am aware of anyway! Getting around by taxi has advantages and disadvantages, I know the prices are sometimes more than if you use other transport (bus, rent a car or moto) but it is a good idea to use a taxi when you don’t know the surroundings. If you want to have a night out and have a drink, I think the best idea is to come back home/hotel by taxi as It is safe. When you chose a way of getting around it depends on many things, so always try to choose the one that is suitable for your situation. Talking about sharing the taxi with a stranger, if you go to the same destination, you share the price or each one of you pay the same? Yes, I agree with you completely Cristina. If you have had a drink or two then a taxi is a great way to get yourself back home. There is no point risking yourself or others by trying to drive or take a bus if you do not know where you are going. In this case a taxi is a perfect solution. In answer to your question, if other passengers are picked up along the way, they also pay the fee for the journey, regardless of whether the destination is the same as yours. The price is not split. You all pay! Thanks. I can see it is not the first time you have visited me here. It is always nice to hear from you. It’s 27 years(!) since I was in Rhodes, traveling with my then girlfriend. We were on a budget so we traveled around the island by bus. From what you say, we couldn’t have afforded the taxis even if we wanted more direct transportation to a particular destination. Ours was more of a walking holiday anyway. These days I’d be more than happy to take a taxi if car rental wasn’t worth it. Hey Gary, thanks for getting in touch. In all honesty, car rental (as you mention it) is probably the best way to get around the island. With a car, you have comfort, air conditioning, you can get to all the places with ease, the prices are very good and there are a lot of options. If you ever do visit again, then I would go for a rental car service for sure. The buses also do a good job and they are quite cheap, however they can take a lot of your time up when trying to get from place to place. The taxi services are expensive in my opinion. For small journeys I would say they are good. For longer journeys though, they can really eat into your budget. Finding your own transport would be the better option in this case. Thanks Gary, it is nice to hear from you. Hey Chris, I really loved reading your post. Me and my girlfriend are planning to go to Rhodes this summer. We were thinking about renting a car. and after your post here we definitely will. I actually think that taxis would be the more fun way because we get more in touch with the locals that way but, they are quite expensive. We also thought about renting electrical bikes but, I don’t know if this is the vehicle of choice in the pretty intense sun of this country. It all depends on what you like to be honest. In my opinion, renting a car is a lot more beneficial and you can get around with a lot more ease. Although you can do good distances on a Moto, yes it can get a little hot. Sometimes being in a car with air conditioning can be most welcome when the heat of the summer is upon you. For getting around, the rental car service is always a great option. You have the comfort and the prices are pretty good too. For me the taxis are ok for shorter distances and if you want to get somewhere without any hassle. They are a little on the expensive side in my opinion, especially if you are planning to make longer journeys. Thanks Aaron, and hope to see you here soon. Thanks again for the great information your website delivers! It is nice to hear that taxis are now regulated and well organized with taxi stations around the place! Uncountable are the people in the world getting unfair prices just because they are tourists. Very surprising also the fact that the taxi might stop and have other people jump into it! Probably not the most common practice worldwide, but I wouldn’t mind it. The driver is more than free to fill up the cars capacity, if that means supporting himself and/or his/hers family when he gets home. As always, well written and informative content! Hey Thomas, great to have you back my friend. Yes, in the past things were not as clear cut as they are now. Although even today there are catches, there is a lot more control in place now. In the past I know many people that have been ‘ripped off’ and I have also shared this unfortunate experience. On saying that, the taxi drivers do a pretty good job these days. I personally do not have a problem with the drivers filling their cars either. I will admit it was a little bit of a shock when I first came. I think that was because I was not ready for it. It is certainly something I had not seen before. This is really interesting and amusing text about a Greek island. I haven’t been on Rhodes but my two daughters have and they conveyed very impressive notions. I have been on another island in the Ionian Sea and that was Lefkada. Maybe all Greek islands have something in common. As far as taxis go, they are pretty same in all countries. I mean, the drivers are little bit …mad. In my country, Serbia, which is quite close to Greece, taxi drivers don’t obey the traffic rules. And when it comes to paying, oh, there are all sorts of camouflage! Even though, I would like to visit Rhodes one day, no matter about the taxis, and to feel all the charms this very interesting island has along with the taxis! Ah yes Lefkada, a beautiful part of the world indeed, although I will admit I have not been there personally. I think taxi drivers can appear to be a little mad and/or aggressive on the road. I mean, they know where they are going as opposed to a tourist that may not. The confident driving they have can maybe appear to be road hogging and even rude, what do you think? On saying that, I don’t suppose you can go back home again without experiencing a ride in a Rhodes Taxi. I think it is something that just has to be done. Not doing it, well – it is like not eating a Greek meal, or having a Greek dance. It sounds like the taxis might be a good choice if you’re not going very far. If you are, it might be better to rent a car. You would think that if the taxis are regulated to the point that most of them look similar (blue and white Mercedes), that they would also be heavily regulated regarding prices and not be able to leave the meter off and over-charge you. I don’t know if I would like sharing a ride with strangers. If I were going to do that, I might as well take the bus. Thanks for posting this. I definitely learned something new and useful if I ever find myself in Rhodes. IN all honesty, the system here has and continues to clamp down on people that are over charging and or not offering receipts. This is not only for the taxi’s, but across the board. It has to be that way, as there has been a lot of issues in the past and maybe this adds to the reason to the current financial climate here. I agree with you too, taxi’s are a fine way to move around if you are not branching out too far. If you are looking at a bigger distance though, they can work out a little expensive. This is my opinion anyway! Thanks Andy, appreciate your comment! 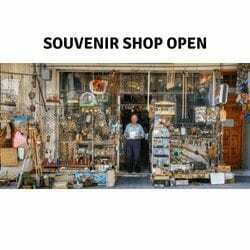 An interesting post about getting around Rhodes by taxi. From reading your story, the island portrays island lifestyles. When I think of island life, I imagine a laid back type of atmosphere. Everyone with an attitude of no rush, no hurry. By using a Mercedes Benz is first class. The receipt for the journey is a curious idea. It makes me wonder why and how that came to be. Thanks for giving me a peek about the island of Rhodes by taxi. Hello Kevin and thanks for passing by and leaving your comment. To be honest, in the past there was a lot going on when it came to receipts. Not only with the taxi’s, but in many other areas too. People were avoiding giving receipts for reasons probably well known to most. This was the case until the crises came along and all of these financial areas were highlighted. Now it is law here in Greece to be provided with a receipt. In most cases, there are notices in a most outlets clearly stating that if you are not offered or you are not in possession of a receipt, then your are not obliged to pay your bill at all. Thanks Kevin. Happy you enjoyed your visit! I’ve been to Greece a couple of times, but never to Rhodes – have to fix that mistake sometime soon, as everyone is always saying what a beautiful island Rhodes is. 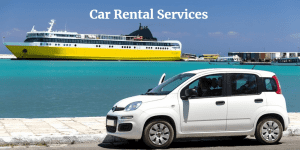 While in Crete, I rented a car for a week, and I suppose it would be wise to do the same in Rhodes – even though taxi would be handy for short distances, as you mentioned. What would be the must-see places in Rhodes in your opinion? 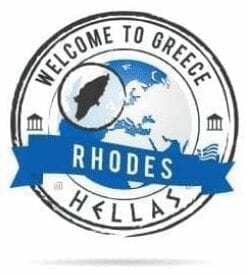 Yes if you have made it as far as Greece but you have not visited Rhodes then this is a HUGE mistake 🙂 Only joking, but hey, Rhodes is here waiting for you. 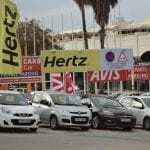 I have also been in Crete and to rent a car is a great way to see the place. 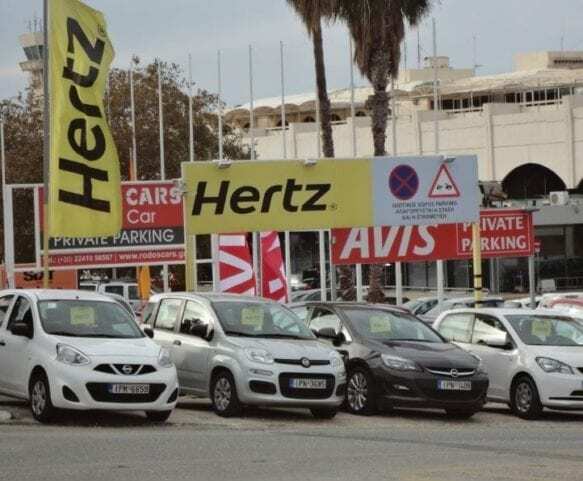 I would say as far as options go, renting a car would also be the best choice in Rhodes too. You can see pretty much all you want to see with a car, and you have the comfort and the air conditioning too, as sometimes it gets really hot here. Taxis are good yes, they do the job, but like you noticed in my post, they can be a little pricey in my opinion, especially when it comes to some of the longer journeys. 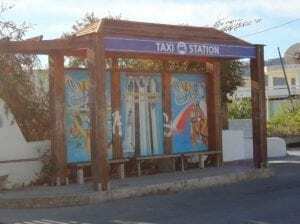 For short distances, taxi or using one of the buses on Rhodes is also a good way to move around. If you need anything specific before I get around to doing that, just contact me and I will be happy to help you out. Hi Chris, thanks for the info. I went to Rhodes about twenty years ago when I was a student. it was a good laugh. The taxi’s back then were a bit odd. You were never sure what exactly you would get charged. Thankfully it was still way less than the UK. But good to know they’ve got some rules in place now. How much is the average budget hotel on the island these days?? Years ago yes, you will find there was a lot more freedom in Greece when it came to people receiving money. It was a tough time for people on the tourist side as a lot of the time people were being overcharged. There was also little in the way of receipts too, so a lot of companies including the taxis were getting away with a little more than they should have! All that has changed now. It is required by law to give receipts for good received and this also applies to transport. Nowadays it is not as cheap as it was, but in comparison to other countries the prices are not too bad! 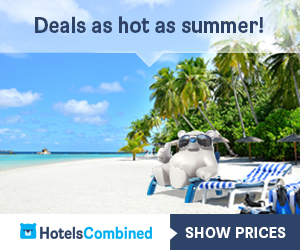 For the hotels, you can get some really good deals at good prices if you look around. I will be covering this more in future posts. I was very interested in reading your article because I have never, ever ridden in a taxi! I had no idea that a taxi would stop to pick up other people on the way. That could be quite uncomfortable! I like your other options below your post. I think it would be fun to rent a motorcycle! Hi Elisa, thanks for passing by!! I must admit I also do not like the fact that other people jump into your taxi alongside you, it can be quite uncomfortable yes. But it is something they do here, and I guess you just have to get used to it if you are a taxi customer. The motorcycle is also a great way to see the island of Rhodes and I will be adding some material covering this mode of transport in the coming days 🙂 Be sure to check it out! I feel like taxis in any foreign country can get very messy. Drivers know that most tourists are clueless about the country that they are visiting and therefore they tend to take advantage of tourist ignorance. From your description though, it seems that Rhodes is much more chilled out and not as hectic as compared to other countries. And it looks gorgeous. I go to Israel here and there so it might be worthwhile to check out Rhodes on the way there or back. Hey Ariel thanks for your comment. You are absolutely right when it comes to innocent tourists having advantage taken of them. A lot of people simply do not know where they are going or the distances and directions involved. With this in mind it is easy for them to be manipulated! I disagree with this, but like you say, other countries are a lot worse. Here it is not too bad in general when it comes to having a nice time for a reasonable price. But it is like wherever you go, you pay for the place you are in. For example buy a salad and a beer in Ialysos (outside of the city) will cost you are 6 or 7 Euros, inside the city just the beer on its own can be 7 or 8 Euros (and more). When people are not aware of these price differences they will pay, the same as they do with the taxis! My Mother lived in Rhodes for about 12 years and I used to go there every summer. When she decided to leave the country I was very sad because the best summers in my life I spent in Rhodes. The advices you give are very useful and when I come back at Rhodes I will remember your post. When did your mother live here and when is the last time you visited? Maybe she lived in the same areas as me? Yeah I am glad you have your view on the taxis here and I agree they are not cheap at all. To be honest even in an emergency I try and find alternative means of transport. Even renting a car is a great option and it will get you around at a fraction of the price! If you plan to visit again please let me know 🙂 I will buy you a drink! I am always here so whenever you are ready! Thanks for your comment and visit Asen. I never heard of a city called Rhodes until I read your site. Then again, I don’t know much about Greece. Greece sounds like a romantic place that a person can kick back and chill with their lady. You have an interesting site. Rhodes sounds like a place I’d love to visit and see all the beautiful women and other scenery. Hi Ronald thanks so much for passing by! I am still developing the site and there is a lot more coming so be sure to visit me again in the future! When I was in Rhodes we didn’t use taxi’s much as we had a hire car. But after a big night out we used a taxi to get back across the island as obviously driving would have been a very bad idea. It was a long trip but still didn’t cost much. The trip was very interesting as the driver was a chatty guy who talked a lot about the island and the state of affairs. It was great to hear about the island life from a real local. I would heartily recommend using taxis on Rhodes. I obviously prefer my own car but after a few drinks Its taxi all the way. Hey Steve thanks for sharing here! Yeah for sure even if you have hired a car it is very dangerous to drive when you have had a drink or two. It is not recommended anywhere to be honest is it? The one thing I have noticed here from my point of view is that the police do not seem to stop people if they have had a drink or they think they have been drinking. I might be wrong, but I have seen people who have been driving irrationally due to alcohol and nothing has ever been done. If you have been drinking and you have an accident though – GAME OVER, you will be in jail! I had one friend here who was having a few drinks one night and he drove home. The police stopped him and after a small chat they let him go, in another country that probably would not happen. But they told him to get off the road in 2 minutes.. if not.. they are watching him. Taxis are of course a great idea to get around locally if you have had a night out. And if it is late sometimes it is the only option as the last buses are around 11 pm. Nice website! I love discovering new places, and Rhodes seems to be absolutely beautiful! It is an excellent idea to take a taxi to visit Rhodes. I didn’t think about this, and it is not so expensive like it is in big towns and cities. Are there beaches in Rhodes? Also, maybe you could suggest a nice hotel? If you compare the prices of the taxis in comparison to other big cities around the world of course there are differences. In my opinion they do seem overpriced but like I say – others may find them reasonable. There are tons of beaches here on the island for sure and some are really breathtaking. Don’t worry, I will be discussing these as I move along with the website. For the hotels there are many, more than I can mention to be honest. If I were you though, I would always try and find a nice little Greek personal and friendly hotel. There are lots of 5 star hotels and villas on the island but with these you lose the personal touch. I much prefer a small welcoming family hotel to the larger estates. I’d love to visit Rhodes one day! This information is very helpful. In some of my travel destinations, it was extremely difficult getting taxi information. I think its really interesting that drivers may pick up other passengers along the way. I’m very outgoing so I imagine this would be a great way to either learn from the locals or get to know other tourists and the cool things they’ve done. Very informative post. Thank you! Yeah this taxi trick was a new one on me I have to be honest 🙂 Fair enough though, I cannot blame them for doing this. I of course wanted to provide information on many areas of getting around the island and i am happy you found this information helpful!